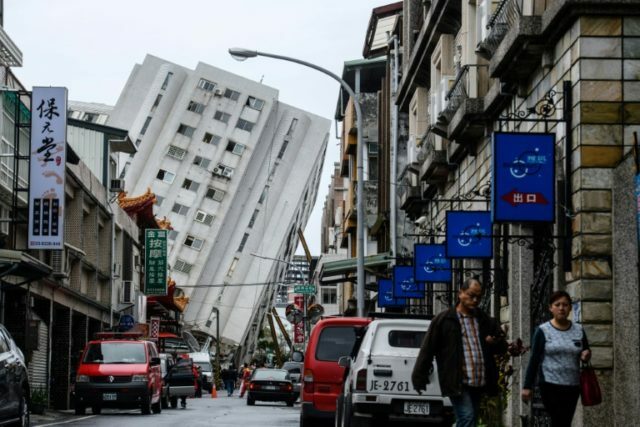 Taipei (AFP) – Rescuers Sunday ended their search of a Taiwan building partially toppled by a 6.4-magnitude earthquake as the last trapped pair were presumed dead, bringing the final death toll to 17. “Seventeen people were unfortunately killed in the earthquake … I believe their relatives will receive proper assistance,” Premier William Lai said while paying his respects to victims in Hualien Sunday. Hualien, on Taiwan’s picturesque east coast, is one of the most popular tourist destinations in the quake-probe island. Taiwan’s worst tremor in recent decades was a 7.6-magnitude quake in September 1999 that killed around 2,400 people. That quake ushered in stricter building codes but many of Taiwan’s older buildings remain perilously vulnerable to even moderate tremors.